Learn the 4 C's of diamonds at Abazias. Found this, here. Love it. This gown is absolutely beautiful! wow. Insanely glamorous and the cut is amazing. Everything about this dress is Gorgeous! Love the details, theway it lays. I can only imagine the way it flows when you walk! I...think I just found my dress. Seriously. THANKYOUSOMUCH. I had a 2k budget but $422 is fine by me! I'm so excited! awesome gown. Love the detailed decoration. I am in love with this gown. But I have been married for 21 years, so I will forward it to my friend who is getting married next year. This dress is amazing - and SOOOO reasonable! Love it! Very simple but classy and sophisticated. It gave me a nostalgic vibes. 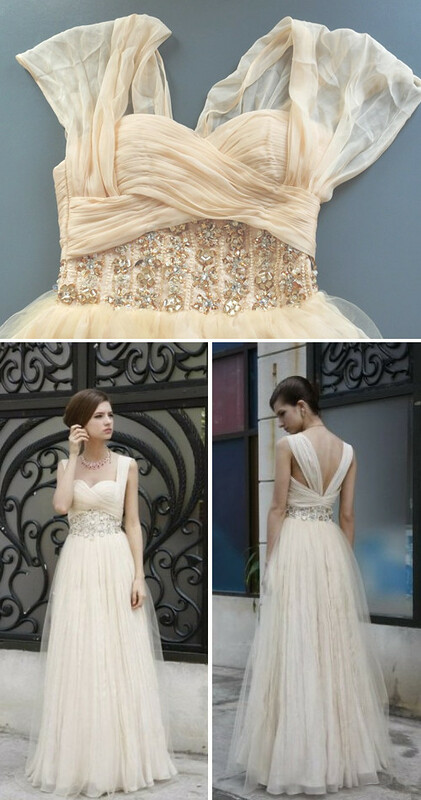 Wow, so beautiful wedding dress. I quite like the additional embellishments decorated on the waist, which adds some shining elements to the whole appearance. catching up on your correspondence?